For value though, you can't beat Blair Mhor. It's an 8 year old pure malt (as opposed to the gold standard of single malt) and in those same days, retailed at £14. A bargain for the quality, and occasionally, if money wasn't too tight, I'd treat myself. 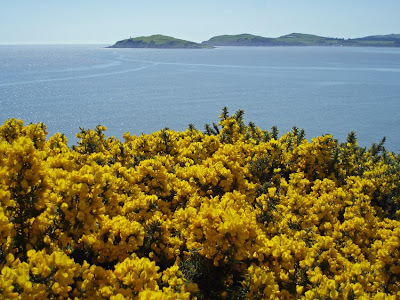 "If a body could just find oot the exact proportion and quantity that ought to be drunk every day, and keep to that, I verily trow that he might live forever, and doctors and kirk-yards would go oot o'fashion". Whisky only became popular during the Napoleonic Wars, due to the difficulty in obtaining brandy. 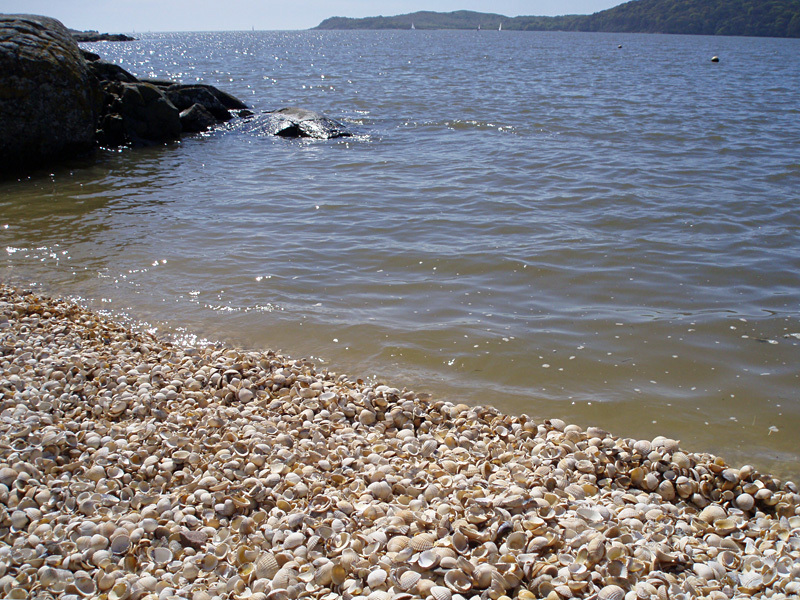 Thanks to the quality of the water, the area around Glenlivet became a hive of distilleries. Perhaps surprisingly, most of it was as illicit as French brandy, as the tax on distilling was so high that most was whisky sold was moonshine. When the tax law improved in 1824, Glenlivet became one of the first *legal* distilleries, gaining a huge cachet as a result. The owner, George Smith, took to carrying a pair of pistols to protect his life and property from incensed bootleggers. Tastes change however. I used to dislike Talisker, for example, but since my palate has matured, I now rate it amongst the best. So what's my favourite today? Lagavulin 16 year old blew me away when I first tried it, and it still does when I occasionally try it today, a whisky with a massive amount of body, my dram of choice when I celebrated setting up my music studio in Glasgow (I had plenty time that year to to reflect over a dram as I had almost no punters). But there is one even better than that. 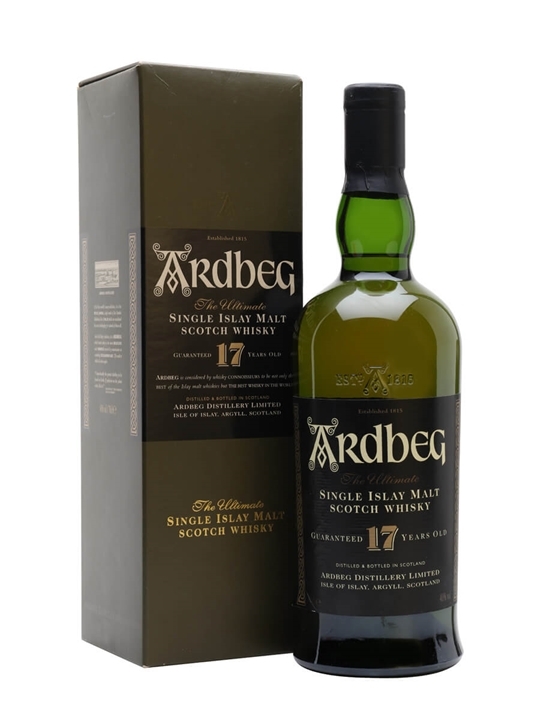 It has been a long time since I've last tried it, but Ardbeg 17 year old was my all time favourite several years ago. Plenty other people liked it as well, and it sold out quickly. The distillery must have just come out of mothballs, as they then started selling younger versions of Ardbeg, such as a 10 year old, and un-aged versions with names like nam Beiste and Uigeadail. None, however, match up to the memory of that original 17 year old. There is just one problem with malt whisky, the main reason I drink so little of it these days. It is so damn expensive. Who can justify spending £40+ on a bottle of booze? Eric Idle, Graham Chapman, John Cleese, Terry Gilliam, Terry Jones, Michael Palin. The Cairngorms are reknowned for their long aproach walks. 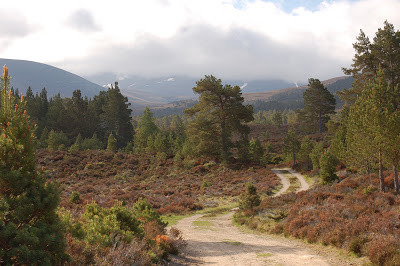 Start at Aviemore, Tomintoul, or Braemar - Linn of Dee if you insist - and several hours of walking are required just to reach the base of the hill. 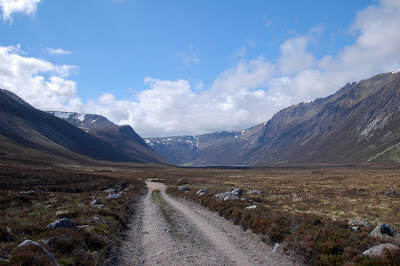 Of course you can also approach from the ski-tow car park in Coire Cas, 600m above sea level, but this is anathema to the true lover of the Cairngorms. 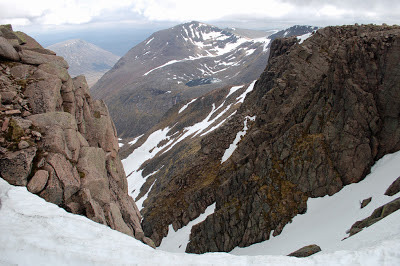 I, of course, have never approached the Cairngorms from Coire Cas (ahem)... I wanted one big hill day recently, and driving to Orkney I was struck by the great gleaming mass of the Cairngorms, visible all the way up the A9 from Kingussie to Mid Clyth in Caithness. If I wanted a big day on the hills, it had to be the 'gorms. 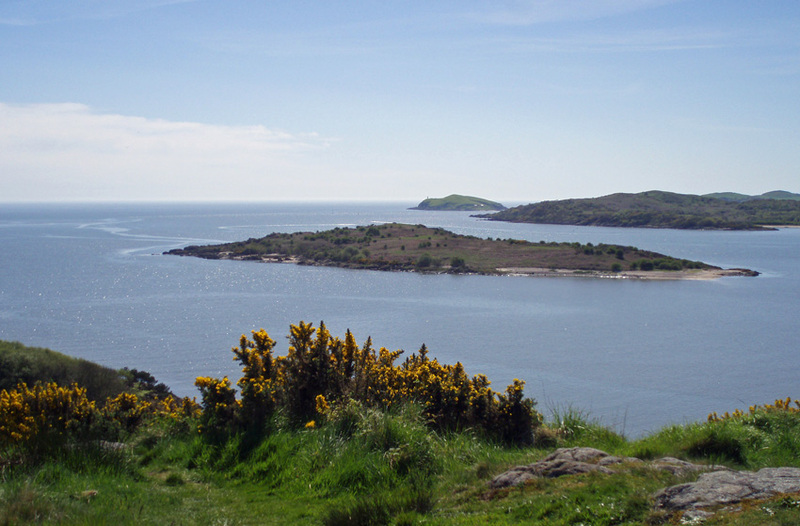 Ben Macdhui gave an excellent expedition a year and a half ago. Now it was Braeriach's turn. And not from Coire Cas - that would be cheating - but from Loch an Eilein. I set off from home early, arriving at Loch an Eilein three hours later, snow from the previous fortnight largely gone, sun out on a glorious morning, the day already fulfilling its promise. 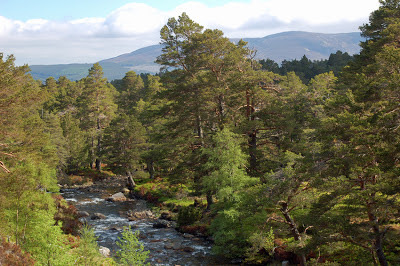 One of the glories of the Cairngorms is their skirts of native forestry. The summit has its legend of Am Fear Liath Mor, the Big Grey Man, but the forests also buzz with mythical activity. Lamh Dearg (bloody hand) is my favourite. A terrifying bogle, he stalks the paths of the Rothiemurchus forest, taking the form of a hot-blooded and fully armed clansman. If you see him, he will challenge you to a fight. Accept! For he kills those who refuse or flee. But those who boldy face up to his challenge, he allows to pass as a friend. 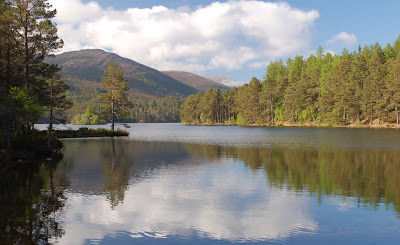 It is a long walk from Loch an Eilein to Loch Einich. I counted 11km on the map, but a pair of German cyclists who overtook me on the way out stopped to chat on the way back. 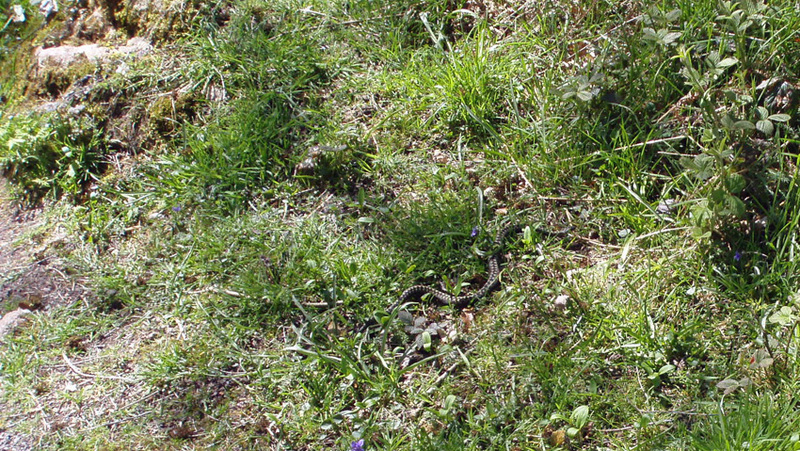 It was 13km from the track end to the Eileinsee, they informed me. 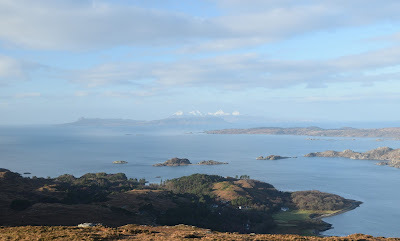 The walk up Glen Einich, though fairly long, didn't feel like a slog. The river brawls through a gap below Carn Eilrig before the upper glen opens out, Sgurr Gaoith above, dippers and small fish in the river and happiness in my heart. A runner overtook me as I photographed the surroundings and aired my feet, passing me again on his way back down before I reached Loch Einich. He and the cyclists were the only people I met all day. The track finally ends at Loch Einich and a footpath winds its way up into Coire Dhondail. Despite snow patches across the path, gaining height was the easiest part of the day. 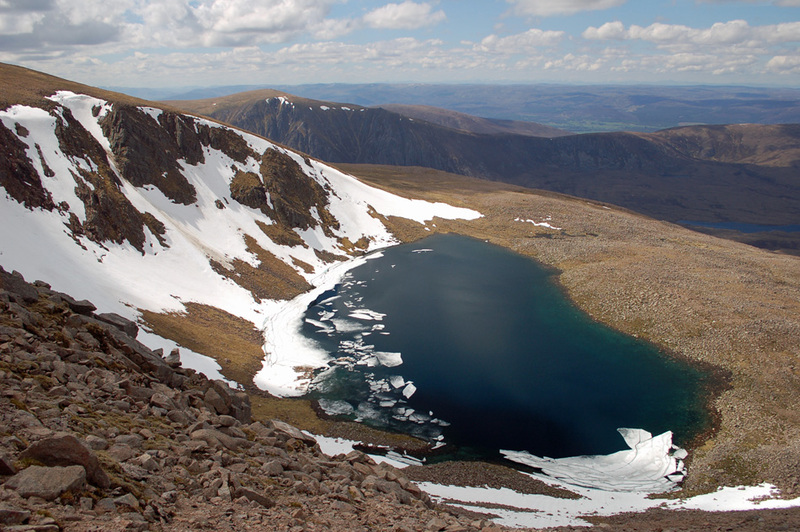 The walk-in is long, but Loch Einich lies at 500m, making for a Corbett-sized 800m of ascent to the Braeriach plateau. The head of Coire Dhondail provides a natural breather looking over the Moine Mhor, a high-level moss at 3000ft leading over Sgurr Gaoith to Glen Feshie. 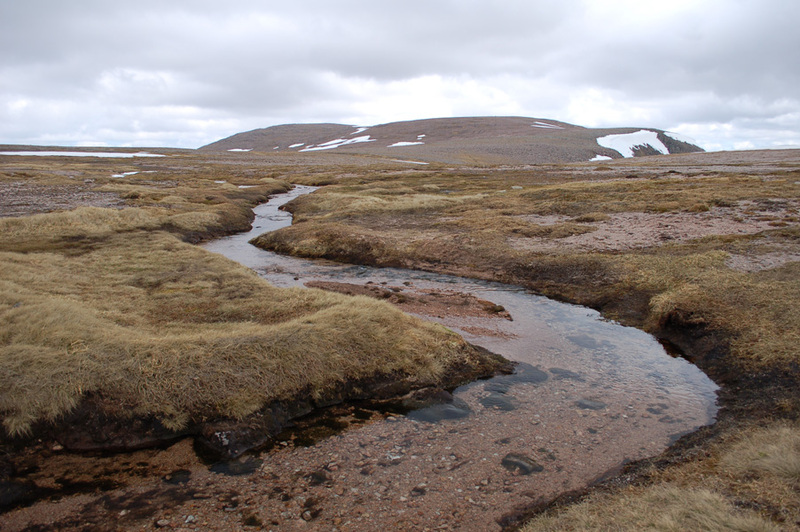 The summit plateau of Braeriach lies an easy 300m higher at 4000ft. The first impression of the plateau was not of flatness but verticality, as the great peak of Cairn Toul and the snow-rimmed gouge of the Garbh Coire came into view. East across the Lairig Ghru, Ben Macdhui. Beinn a' Ghlo appeared to the south, Lawers, Alder, Nevis, Creag Megaidh west, an arc of unidentified peaks beyond the Great Glen and Ben Wyvis, the Moray Firth and Caithness hills north. Now I was up here in this special, elevated place, I wanted to spend a bit of time experiencing it. First I followed the corrie edge to the Falls of Dee, but it wasn't possible to get too close because of the remains of cornices. The Dee is a surprisingly large river up here, and I followed it all the way upstream to the spring at its source. This was choked with snow, but marked by a few white stones. 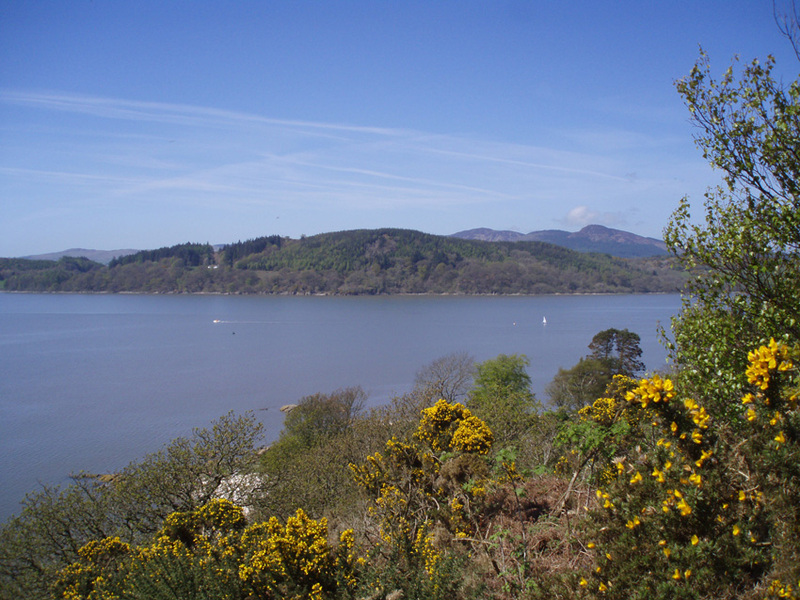 Where does all the water come from, so high up? There was something wonderful in the knowledge I was at the source of the River Dee. I sat and listened and felt the wind on my face, fresh mountain air in my lungs. A small brown bird cheeped in the distance. The only other sound the icy waters of the infant river. I was moved, I'm afraid, to poetry. Not far to the eventual summit, across saturated gravelbeds and blasted boulderfields. 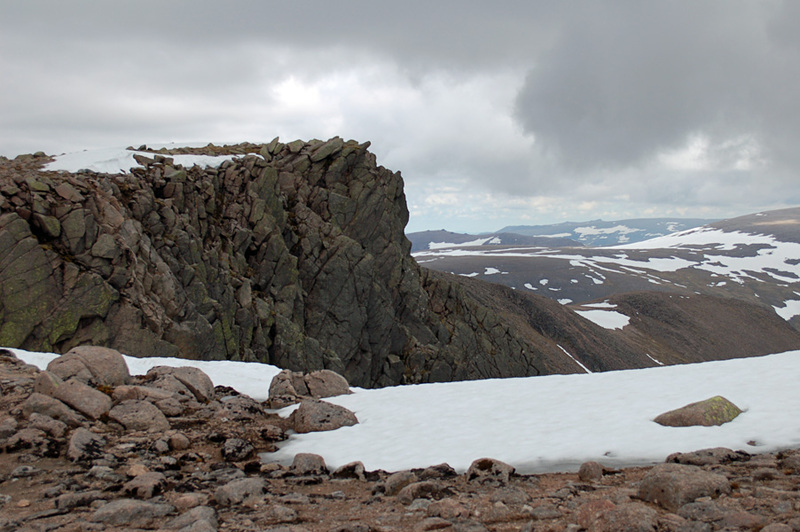 The summit cairn is perched dramatically on the edge of Garbh Coire. After two hours dotting about the plateau, steeping myself in its terroir, I was struck again by the defending verticalities. 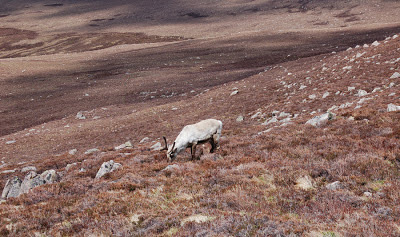 A couple of distant figures, descending to the Chalamain Gap, gave scale to the tundra landscape. A bleak and brilliant spot. It was time to head down. 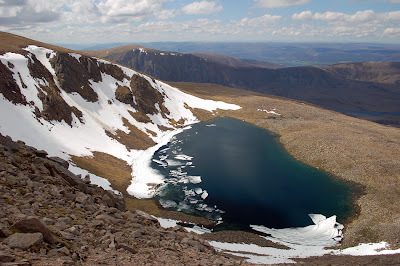 The shortest return lay across ankle-breaking slopes of boulders and heather above the Beanaidh Bheag, passing the high loch in Coire an Lochain, ice floes floating on its surface. The day had given and given, and yet held one final surprise - a herd of reindeer! I was glad to have come to Glen Einich for my walk today, and walked all the way from Loch an Eilein to the source of the Dee. You wouldn't see reindeer or compose poetry in, say, Glencoe.